Apollo Munich Insurance Company Limited. 1. 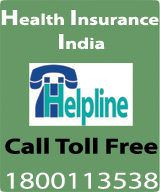 Second Health Insurance Co. of India. 2. Started operations on Aug 8, 2007 in New Delhi. 4. Product details are available on website. 1. This company which has switched back from TPA for claim settlement to in house team.It claims: early claim settlement. 2. 140 day surgeries are covered. Highest number. 1. Less known in the market for health insurance. 2. 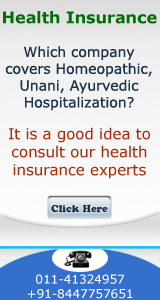 Covering Ayurvedic Hospital, Hospitalization. 1. Family floater is available. 3. Premium is higher because of their focus on better service. 4. Limit on family floater at Rs 3 lakhs is somewhat low. In health advantage covers Pre existing diseases after 2years. Also covers OPD to a extent amount. 1. Normal products at normal pricing. 2. Ayurvedic treatment is covered. Max Bupa Health Insurance Company Limited. A qualified doctor will be acting as your Relationship Manager – who will guide you on phone from time to time. He will even visit you when you are in hospital for serious ailment. 2. Having Varistha Bima for senior citizens (age 60+) Premium increased. Having concept of Co pay introduced. It is 10% for senior citizens.